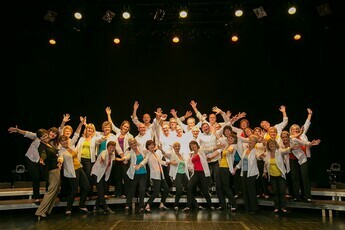 Festival open to all “choirs” amateurs. From France, Europe or further. Next édition on April 24, 25 26 2020 in Aix-les-Bains. You are a group and we would like to participate. Just contact us by mail (menu Contact). It was on March 29,30 and 31. Thank you everybody : 3 days and evenings full of energy, beautiful voices and choreographies! Thank you to all the choristers & choir directors, volunteers and the public who were at the rendezvous, Marie-Francoise Grasset, artistic director and creator of this new festival, Octopus Vocal of Lyon, the Yunost University Choir of Dubna in Russia, Vocal Effect of St Etienne, Ten Sing of Geneva and Coup d’Choeur of Chambéry. 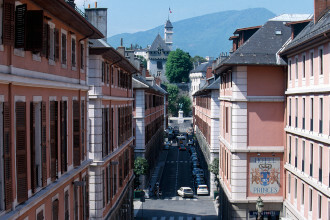 Many thanks also to the municipalities of Chambery and Aix-les-Bains. 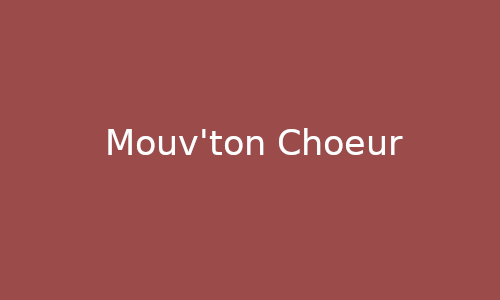 Mouv’ton Choeur is waiting for your registration for its 3rd edition on April 24th, 25th and 26th, 2020. 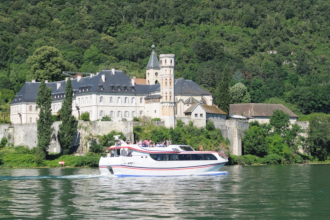 Contact: Contact@destinations-choeurs.fr. 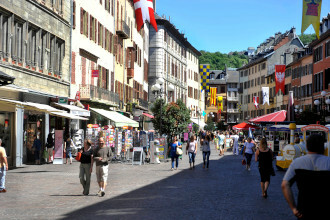 Edition 2019 : After the success of the 1st edition in 2017, the festival welcomes this year, not only French groups but also from Switzerland and Russia. Groups sometimes highlighting very different styles will perform for one hour at each show. YUNOST UNIVERSITY DUBNA (Russia). This young choir of 35 students was born in 2015. And already it has made a name for itself by winning several awards in Russia. Their repertoire, a varied program ranging from Russian folklore to variety such as Bohemian Rapsody! 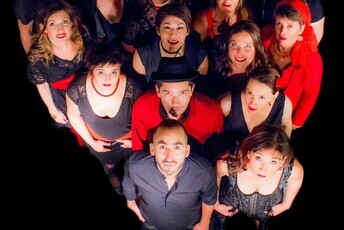 VOCAL EFFECT (France) 100% a cappella with human beat box !!! a group of 14 singers, a stripping mix of bodily percussions, dances and songs, on covers of Brigitte, Nina Simone, Michael Jackson, Stevie Wonder …. and many others. Harmonies with 8 voices, always more daring choreographies, will make this evening an unforgettable moment! 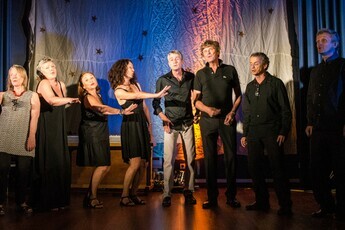 The vocal group TEN SING (Switzerland). 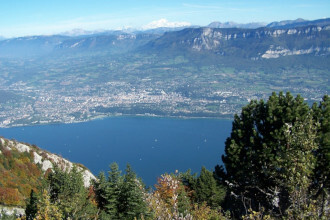 Created 25 years ago this group Genevois made up of forty singers will make you happily travel in a very varied repertoire, consisting of very recent French songs. From Zaz, Calogero, Garou to Boulevard des Airs or Nicolas Fraissinet, they will suddenly give you the desire to sing with them. 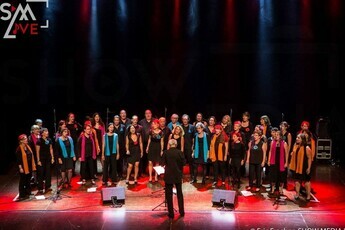 The vocal group COUP D ‘CHOEUR (France) The Chambérien group also composed of about forty singers, under the direction of Marie-Françoise Grasset, will close this 2nd edition by offering you its current pop rock variety repertoire. 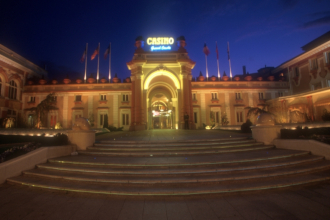 From Celine Dion to Claudio Capéo or Johnny Halliday, their pleasure of singing and dancing will seduce you. French, Swiss and Russian groups for this 2nd edition. French and international variety with choreography, gesture, pop, funk with human beat box, jazz. Links to the several activities of the association. Follow your activity by subscribing to our newsletter. Choir children (7-10 years old) and teenagers (11-14 years old). 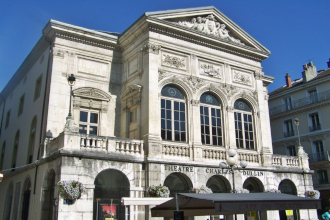 THE vocal group of Chambéry focused on contemporary French-speaking song with enhancement of the songs by choreographies, gestures. From the innovative choral singing training to the big choral event gathering around the repertoire of French song, over a weekend. 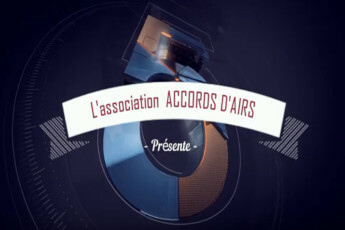 The website of the association.